Admirant shopping in the centre of Eindhoven. 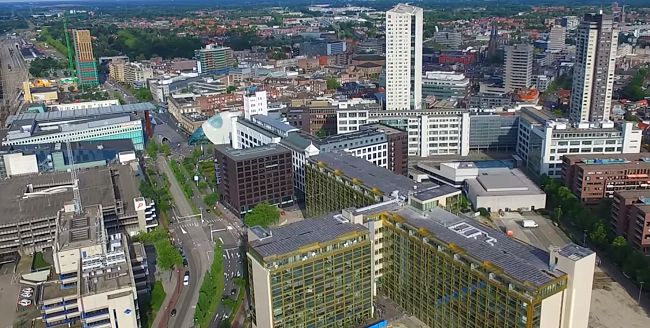 Eindhoven is a city in the Netherlands with a large population. About 217.000 live in his nice place in the province of North Brabant. The city also attracts many visitors every day. These people from abroad enjoy a great shopping experience in one of the many shopping malls. Admirant Shopping Eindhoven is definitely one of the best. In this shopping centre in the centre of Eindhoven you’ll find more than 25 amazing stores. Perhaps you need to buy some nice Christmas presents. In this case, visiting Admirant Shopping Eindhoven at the Nieuwe Emmasingel is a very good idea. You’ll find anything you want over there. The shopping mall has many clothing stores, some interesting book stores and even a cinema or a beauty salon to relax. Or perhaps you like to have a lunch or dinner with your best friends. Thanks to the wide variety and nice atmosphere Admirant is the place you need to be. On the website of Admirant you can find some interesting information about the stores of the shopping centre. However, by visiting the place you’ll really know why everyone from Eindhoven is so positive about this place. Big chance you want to visit this shopping centre another time. Parking near Admirant Shopping Eindhoven is definitely not a problem. It has it’s own parking garage with more than 358 places. The mall is also on walking distance from the Central Station, if you decide to use public transportation.